Attack helicopters emerged during the Cold War years when they proved to be the key component to victory in battlefield. Today’s attack helicopter has two main roles, to provide direct, close air support for ground troops and to destroy enemy armor concentrations (anti-tank role). What are the best attack helicopters? These are currently the best attack helicopters in the world. The Apache is a twin-turbo shaft, attack helicopter with cockpit for a two-man crew. This is primarily an attack helicopter that can fight close and deep to disrupt and destroy enemeies on all-weather conditions. 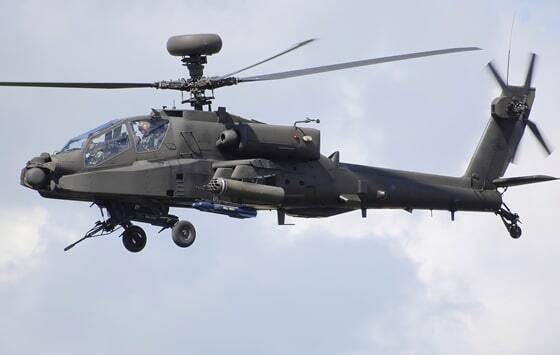 The AH-64 Apache is four bladed, multi-mission attack helicopter that is designed as a highly stable aerial weapon-delivery platform. KA-50 is also known as Hokum A. This single-seat, attack helicopter has the coaxial rotor design that provides a hovering ceiling. The maximum weapon load is 2t and can be selected according to mission. It can fly at a cruise speed of 270km/h. 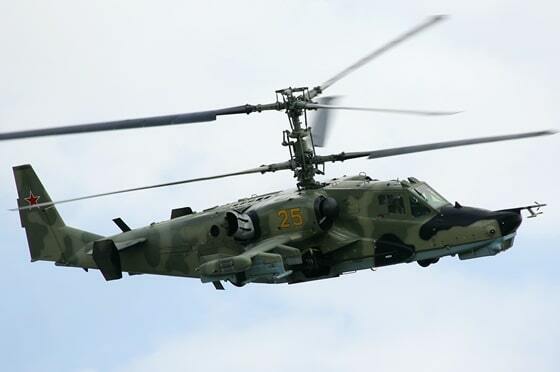 The MI-28 is a two-seat and all-weather, armor attack helicopter. It carries a single gun in an undernose barbette and external load carried on pylons beneath wings. The Mi-28 is a new-generation attack helicopter that functions as an air-to-air and air-to-ground partner for other helicopters. 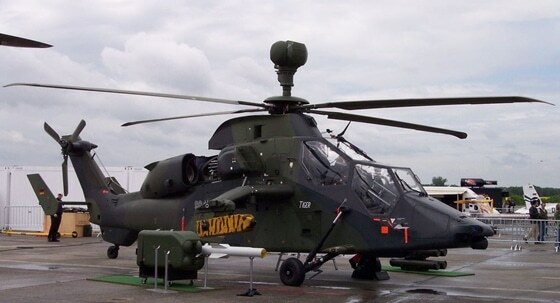 The Eurocopter Tiger is a four-bladed, twin-engine attack helicopter that can perform a wide range of missions. This fast helicopter has an ability to detect and engage targets at long ranges. It has a conventional gunship helicopter layout, with two crew members sitting, one behind another. 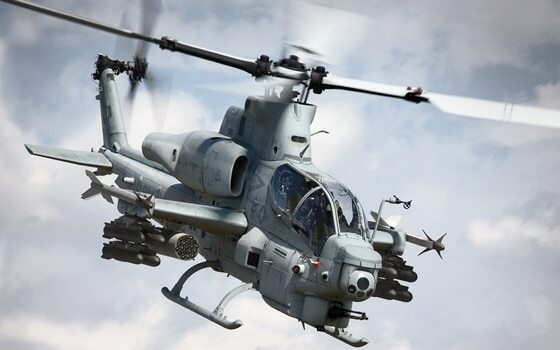 AH-1Z Viper is a modern version of the first ever, attack helicopter. This is one of the most powerful, capable flying helicopter. This helicopter uses off-the-shelf electronic systems. It can operate in day, night, or adverse weather conditions. The fuselage of the helicopter and external components were coated to avoid corrosion, during a prolonged service at sea. 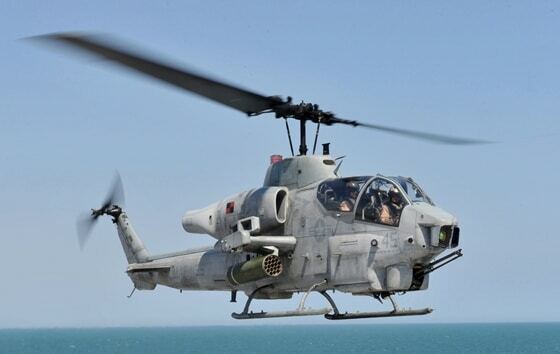 It had been the only western attack helicopter with a proven air-to-air and anti-radar missile capability. This twin-engine, attack helicopter is capable of performing its attack missions in all-weather conditions. The Super Cobra helicopters form the backbone of the Marine Corps’ air-ground task force and are also used for ground attack coordination. This was an ambitious and indigenous undertaking. 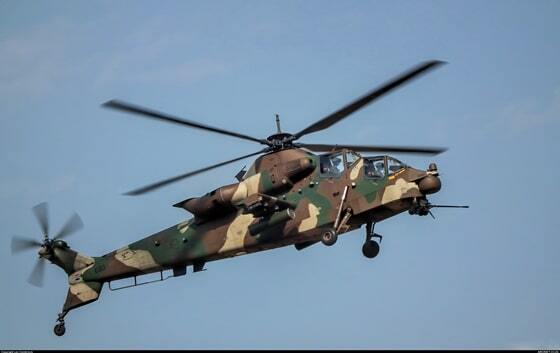 The Rooivalk was born from a need of the South African Air Force to field a capable attack helicopter. The Rooivalk carries a comprehensive range of weaponry ranging from anti-armor to ground suppression and ferry missions. 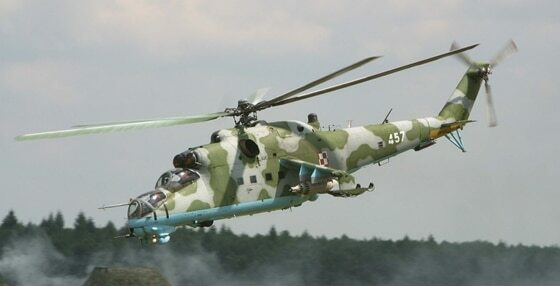 MI -24 is a widely-known assault helicopter. This large, attack helicopter has room for 8 passengers and it’s favorite of different countries around the world. The “Hind” is considered the design that never dies. It has heavily armored body with retractable tricycle undercarriage. The Z-10 is the new Chinese attack helicopter, developed in mid-1990s. 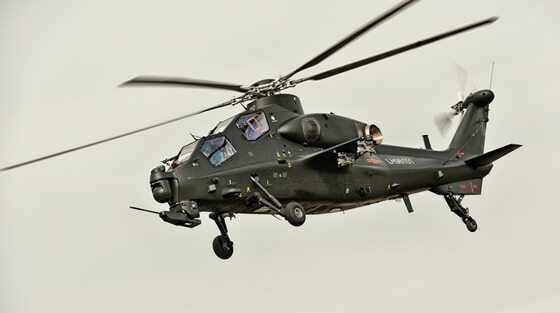 This is first modern Chinese attack helicopter. It’s equipped with five-bladed main rotor and four-bladed tail rotor. The helicopter can conduct limited air –to-air combat operations. The standard architecture allows the integration of weapon system of both Western origin and Soviet. The maximum take-off weight of the Z-10 is 8t.